Stories validate the work you’re doing. They build value. And really good salespeople never stop telling stories. 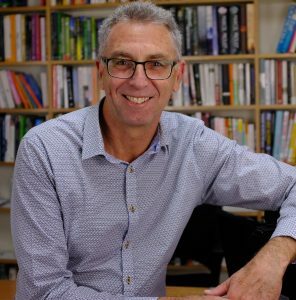 Mike Adams, author of the book Seven Stories Every Salesperson Must Tell, explains that stories forge connections between people who don’t know each other and they help to establish rapport. Today on The Sales Evangelist, Mike Adams outlines the seven stories every salesperson must tell, and how to tell the right story at the right time. 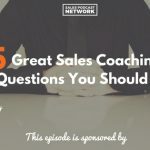 Mike’s journey originated in his desire to help salespeople learn to say the right thing, and his desire to understand what it’s like to sell in different industries. He discovered that salespeople needed to know how to tell stories, and they needed to practice them before they got in front of the client. Finally, they needed to understand when to use each kind of story. These stories help your client understand who you are, and they position you as an authority who can be trusted. 1. Your personal story explains why you do what you do, how you became an authority in your industry, and why the buyer should like you. Tell a 1-2 minute story about yourself and then invite your client to do the same. This story won’t be used for the first phone conversation. Instead, save it for the first meeting. Avoid bragging, but emphasize that you have experience and you know what you’re doing. 2. The key staff story introduces people in your organization who are critical to the sales process. Who are the people your client will need to know and trust as he goes through this process? If, for example, you frequently pair with a tech expert to explain your product, tell a narrative story about how she got her experience. This creates a connection. 3. Tell the company story to help your client understand what sets your company apart. Most companies focus entirely on facts and accomplishments, but this should be a narrative. You don’t know what your client knows about your company or division. This is your chance to influence what he knows. You’ve hooked the customer with your connection stories, but now the fight begins to keep him on board. Why should he choose your company instead of someone else’s? 4. The success story tells about a client who overcame a big problem. It’s the classic marketing case study: a client found himself in a bad situation, our company offered a plan to address the bad situation, and the client overcame the bad situation and succeeded. Your client will identify with the story if it’s about someone like him. Tell the story of the hero’s journey. 5. The insight story can be tricky because you’re suggesting that you know something about the client’s business that she doesn’t know, and that can sound arrogant. Instead of telling your client what you know, share the story of how you discovered your insight. Presenting insight as fact that you know invites pushback. These stories help you finalize the decision process by reassuring your customer why your company is the best choice. 6. Your value stories explain to the customer how your company will behave in a variety of situations. Tell stories of a time when something went wrong, and how your company addressed the challenge. These stories will be based upon your company’s specific abilities. Hotels, for example, might tell the story of an employee who drove to the airport to deliver a customer’s wallet to her. 7. Teaching stories help you when your client sponsor is in a hole. You must teach your sponsors to be persuasive so that when the decision meeting isn’t going well, they’ll know how to proceed. You must teach your clients how to buy by teaching them what to value about your services. Then you must teach your clients how to sell in order to get the deal done. Stories help clients understand and trust us but we must not abuse that power. Stories are meant to be shared, so make sure you hear the client’s stories in addition to telling your own. Grab a copy of Mike’s book, full of links to online training about storytelling. We’re so convinced that you’ll love the book that we’re providing a free excerpt to our listeners here. We also have a free SlideShare available to help you become a sales leader rather than a subservient seller. We have a new semester beginning in the fall and we’d be honored for you to join us.